And my heart broke wide open again. The current social and political climate is such that words like "evil" and "abomination" are being flung around seemingly indiscriminately. Those who disagree on issues like birth control or LGBT rights, or interpret the Constitution differently, or simply see the world differently based on their personal experiences or belief systems, are labeled "enemies" or "haters". Wake up, folks. This is evil. This is an abomination. And this. Those who shot this 15-year-old girl in the head to try to prevent her from speaking out on girls' right to education are the enemies of all good and decent people in this world. Those who deny others basic human rights - life, security, education, healthcare, freedom - they are the haters. We are privileged to live in a relatively safe and free part of the world, which frankly skews our perspective quite a bit. That doesn't change the reality of what happens every day in other parts of the world, and even here within the borders of the United States. Save those words for situations and people who truly deserve them. This past week, history was made. 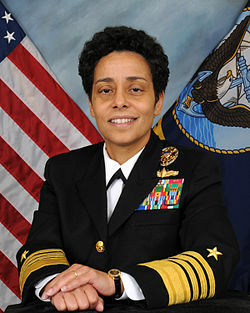 Admiral Michelle Howard became the first woman and the first African American to achieve four-star rank in the United States Navy. After learning a bit more about her over these past few days, I'm definitely adding her to my list of sheroes. Read a great article here on lessons she has learned about leadership during her naval career. read instead of clean, I'd be really, really rich. That's a snazzy powder blue TV, isn't it? As someone who has been called hateful or bigoted over some of my political positions - including opposition to the homosexual agenda, I appreciate your sentiments in #1. That said, when those supporters seek to coerce expression (as in the Elane Photography case in New Mexico), when their reaction to losing a ballot proposition to overturn a court ruling (an approach that was legal under the California constitution) involves anthrax hoaxes to LDS temples, when their supporters launch a witch hunt to drive out faithful Mormons who did support Prop 8 at the request of their Church leaders... I think it is rational to assume that those are the actions of an enemy, NOT merely overzealous support of a differing worldview.